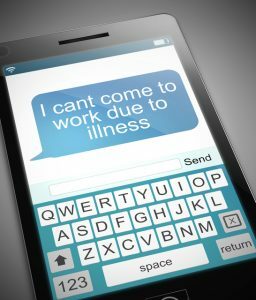 For many years, employers had discretion in whether or not to establish paid time off policies like those that provided paid sick leave for short-term illnesses. Now, businesses are required to provide employees with paid sick time under a new law signed by Gov. Phil Murphy on May 1. With the enactment of the Paid Sick Leave Law, New Jersey became the 10th state, including Washington, D.C., to impose a statewide paid sick leave requirement, establishing one statewide standard and preempting any previously enacted municipal ordinances. Here are some of the dos and don’ts of the new law. You DO NOT have to provide them with 40 hours all at once. Employers can have employees accrue time at a rate of one hour of paid sick leave for every 30 hours they work. These are just a few of the law’s provisions. The Fast Facts specifies what the leave can be used for, what restrictions employers can put on its use, and more. looking forward to the fast facts! We’re so glad you find them useful! If you have not already received it, please contact our Member Action Center at member411@njbia.org for a copy. What would we do without our business friendly NJ State government? … Perhaps, we would want keep our business in NJ! Does the new NJ paid sick leave mandate apply to “student workers”? In reviewing the law and the exceptions, I see no mention of that category and the law seems to be written as if applying to employees, only. As Rider University employs hundreds of student workers, that would be a very large task, and we would appreciate that clarification. You are correct that there is no specific exemption for student workers. Would a per diem EMT be considered a per diem healthcare worker under the new law? If I am understanding this correctly. Any EMT who works for a private company would be covered under the new sick leave act. The definition of per diem healthcare only seems to apply to hospital based employees. Jennifer, thank you for your comment. Are you a member of the New Jersey Business & Industry Association? If so, please feel free to contact us at member411@njbia.org to discuss the law. Nice exemption the huge health care lobby carved out for themselves. For small companies, not so much. Like I said my company pays 24 hours of sick pay a year that’s it we will continue this policy if they come after me I will shut it down . Then I will go to the paper and tell them why 25 minorities got laid off. We are a small company that already has a generous PTO policy in place – for up to 1 year – 80 hrs PTO; for 2-9 years – 120 hrs; and for 10 plus years – 180 hrs. Do we have to designate 40 hours of the PTO hours specifically as sick leave whether they are sick or not? We allow employees to take PTO for whatever reason they need it for whether it is for sick leave or personal reasons preferably with appropriate notice to us. I don’t know of any of our employees who have been “sick” for 40 hours in a year. The main PTO issue we have is employees who don’t give any advance notice and call in sick the same day or just don’t show up. With the new sick leave law, we can’t ask for a doctor’s note until the employee has been out for 3 days? We’ve done the right thing when we didn’t have to and now the State of NJ is aiming to put more burden on small employers with these arbitrary rules. It’s ok with the State of NJ if the employee doesn’t want to come in without notice and now the employee has protection from the State to do so. When is the small employer going to get protection from employees who can hide behind unequitable laws? Way to go Gov. Murphy. Thank you for reading our article. Our Member Action Center is sending a private reply to your comments with some compliance information. If you don’t receive it, or need additional information, you can always reach us at member411@njbia.org. I have a similar situation. We specifically designate vacation hours and personal/sick hours. They are both accused separately and at different rates. Does this law only apply to the sick hour accruals? Hopefully we understand your question. If you are going to use what you now call “vacation time” to meet your obligations under the law, it would need to accrue at the same rate and be allowed to be used for the same purposes as the law spells out. We are recommending that employers who feel that they may already be meeting the law’s requirements review current PTO policies, call-out and discipline procedures, before making a final decision. Close attention should be paid to the law’s specific requirements on accrual, carry over, and the definition of a family member for whom paid sick leave could be used. If a current PTO policy is in excess of the new requirements, it need not be changed. If you need any additional clarification, please contact us at member411@njbia.org. Stephanie, I have a full time employee. I extend 3sick/personnal days and 1 week (40 hrs) paid vacation. He is exempt and gets no further paid sick time, correct? I also have a part time employee about 15-20 hrs per week. I have to extend to him 1 hour for every 30 hrs he works? I am an electrical contractor are there any exemptions I am entitled to? This legislation puts a burden on the small business man/employer. My part time guy was hired with no experience to give the kid an oppurtunity. I may have to let him go. Most unfortunate for him. Awaiting your response. We are a small company with a few employees. Sometime back we created a handbook spelling out what we felt were fair paid days off for common things. 2 weeks vacation, after 10 years employment 3 weeks. 3 sick days, 2 personal days and 2-3 days bereavement depending on whether an immediate family member. Being a small business also allowed us the flexibility in giving time off (paid or unpaid). So now with a mandatory 40 hours (1 week) and potential carry over do we look to restructure other time? And as much as they are to be used for being actually sick, people take sick days as just another day off. Thank you for your comment. Is your company by any chance a member of the New Jersey Business & Industry Association? If so, please contact us at member411@njbia.org. We’d love to discuss the approaches that other companies in a similar situation are using to meet the law’s requirements. How do you account for employees paid based on commission, such as employees in personal service industry (hairdressers, message therapists, etc) ? There is no hourly wage and commission varies week to week. Thank you for your comment. Is your company by any chance a member of the New Jersey Business & Industry Association? If so, please contact us at member411@njbia.org. Question: can an employer switch established vacation time to accommodate the new sick leave law requirements? What does this do for the salaried employees?? This is a follow up to the above questions. 1 Can a employer switch established vacation time for sick pay leave as long as it is equal to the 40 hour sick pay leave? 2 How does this apply to a hair salon when employees work on commission bases and hours change daily ? This law was put into place specifically to protect those in the service business (waitresses, massage therapists, hair dressers etc). This means you will get 1 hour of sick time per every 30 hours you worked (max 40 hours per yr – unless your employer wants to give you more than 40 hrs). Those who work 1200 or more hour a year will receive a full 40 hours. If you are less than that, you can do the math. 1 hr per 30 hrs worked. The 40 hours that you can accrue will be paid at $8.60 per hour due to the fact that you are a commission worker. However, let’s say your employer pays you $10 per hour plus commission. You would then have to be paid at $10 per hour for each hour of sick time you use. Make sense? As stated above, I do NOT work for the State of NJ and I am not a professional labor law rep. I just understand the law VERY well, by inquiring with the State in great lengths. I see you are not getting answers and I am going to assist you at this point. The law is this: for every 30 hours an employee works for you. You must give them 1 hour of sick time…up to 40 hours. Unless you would like to give more – in which the company I manage does. Your question is, do I have to call it “sick” time vs “vacation time”. There are three types of time off, besides holidays: sick, vacation, personal. You MAY call the time PTO time (a.k.a paid time off) and do not have to group it is “sick/vacation/personal”. I, myself, am staying with what I always called it, PTO Time. I do this because I, as a Manager, do not put parameters on my employees of how they must use their time. If you choose to call it PTO time, which is fine. You just have to put in your handbook or hiring materials that the first 40 hours accrued per year, starting each year on __fill in ____ date. (You decide when your accrual year starts each year, mine is 1/1/19 – ALL employees must have the same accrual year start date and it cannot vary per employee). That the first 40 hours the employee accrues is deemed by the State as Sick time. You then copy and paste what sick time parameters are (you can find the sick time parameters by searching NJ Sick leave act). You state that your company is not going to put a parameter in place dictating which hours are used for sick time vs vacation. So, you are hereby referring to said sick time as PTO time and it can be used for any reason (vacation, sick, personal)…but please note. If an employee uses their first 40 hours for example: vacation days off and then gets sick in Example: June and requires 5 days off, but has utilized all of their PTO time – that the company will not pay for time missed due to the fact that the first 40 hours were granted to them for sick time use and they have used that time already. Now, if they have say, 8 PTO hours left and they are sick and need 5 days off, you MUST pay them 8 hours, but do not have to pay for the additional 32 hours (because they chose to use it for vacation/personal time already). It is hard to type this out, so I hope you understand what I am saying. If you have any more questions – I will try to help you the best I can. You may “front load” 40 hours or more each year. Example: All of your employees begin each 01/01/20_ _ with 40 hours of time (or more if you give more). You do not have to do a weekly / biweekly accrual system. As long as you give your employees at least 40 hours a year of time. If you do want to use an accrual system, where the employee accrues hours through out the year and not all at once or in a lump…then you must do it this way. If you have a bi-weekly employee who works 80 hours per bi-weekly payroll you must give them 2.67 hours per biweekly payroll. If your company gives more. Example: 3.10 per biweekly payroll, then you do not have to do the math or have your payroll company do the math (which in this case is 80 divided by 30 = 2.666, I rounded to 2.70). If you give less than this per bi-weekly payroll. Then you will have to change your payroll accrual system UNTIL they reach 40 hours…again, unless you give more. Then you can use that number. I replied via email. Thanks. This is going to make a lot of salons go out of business. If a commission based salon worker is out, the income does not come in for that day. How is this fair to salons???? Restaurants still have people coming to eat. A client coming in for their hair to their personal stylist , the appointment is moved to another day if they are sick. Can an employer give full time salaried employees the 40 hour accrual of sick pay upfront and make part time employees accrue the hours? or do they need to implement the same process regardless of the employee type? I work for a large utility company’s as a part time employee and we approached our union representative and all part timers were told that since we are under an existing contract , company DOES NOT NEED TO COMPLY…does any one know if this is correct? Can’t find anything about this issue. We still have 2 years left in this contract so I guess we lose out ?! a full time worker works 1080 a year. 1080 divided by 30 hrs = 69.6 . 69.6 sick hours divided by 8 hour day= 8.6 sick days year. Lets call it 8.. our company gives us 7 sick days and will NOT increase to 8 because we get 10 day vacation. IS THIS LEGAL?